The year is 2040 and the planet is hot, more than 1.5 degrees Celsius warmer on average than before the start of the Industrial Revolution. Residents of coastal cities are retreating to higher ground as rising tides encroach on their neighbourhoods. Summer has become synonymous with extreme heat waves in Eastern China and violent floods along the Yangtze River. To mitigate further catastrophe, China and other world powers decide to dim the sun. Once limited to the realm of science fiction, scientists are now considering how to engineer the climate to avert the worst impacts of global warming. Geoengineering: An umbrella term for intentional large-scale human interference in the Earth system to combat climate change – broken down into two main classes: solar geoengineering (also referred to as “solar radiation management”) and carbon dioxide removal. Solar geoengineering/solar radiation management: Techniques that reflect solar radiation into space, reducing temperatures and addressing a symptom (but not cause) of climate change. Carbon dioxide removal: Techniques that remove CO2 from the atmosphere, thus addressing the primary cause of anthropogenic climate change. Geoengineering has entered mainstream scientific debate in recent years as the window to reduce greenhouse gas emissions narrows. A draft report by the United Nations Intergovernmental Panel on Climate Change (IPCC) shows that by 2040 the global average temperature is projected to exceed 1.5 degrees Celsius above pre-industrial levels. This is the threshold established by the Paris Agreement after which the risk of catastrophic climate impacts increases. If it proves feasible, geoengineering could buy nations some time to decarbonise by temporarily turning down the global thermostat and slowing the impacts of climate change. However, critics argue that even researching it creates a moral hazard because it sends a false signal to the public that a hitherto unproven technological fix can be relied on. China is more vulnerable than most countries to extreme weather events linked to a changing climate. The government is focusing on reducing emissions by decarbonising the economy, but it has also launched a research programme to study geoengineering’s potential to mitigate climate change. Although it is still in its infancy, the three-year-old programme raises the question of whether China would deploy solar geoengineering. Geoengineering involves the deliberate, large-scale intervention in the Earth’s natural systems to counteract climate change. It works in two main ways: blocking sunlight and sucking carbon dioxide out of the atmosphere. Scientists in China have largely focused on techniques to block the sun because they offer the potential to rapidly cool the planet. But they pose risks that require careful study. Solar geoengineering is untested but volcanic eruptions are a natural analogue for one approach. The 1991 eruption of Mount Pinatubo in the Philippines released sulfur dioxide into the atmosphere that formed sulfate aerosols. These scattered sunlight to the extent that the Earth cooled by around 0.4 degrees Celsius from 1992-1993. Scientists have proposed replicating the volcano effect by spraying aerosols out of specially equipped planes at 70,000 feet. This could quickly cool the planet, but it would not target the greenhouse gases that are the source of the problem. 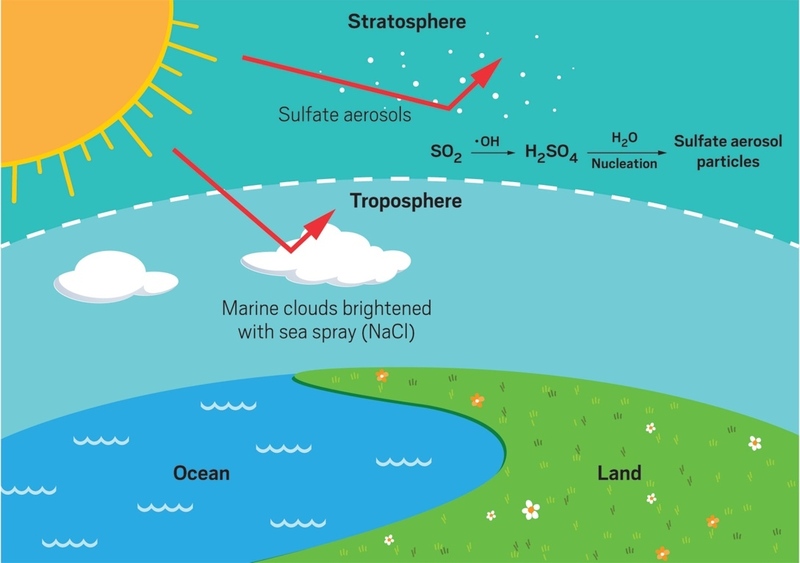 The atmosphere would not return to a pre-industrial state because carbon dioxide would continue to acidify the ocean and have other effects on ecosystems. While carbon dioxide removal technologies could, in theory, be employed simultaneously to draw the accumulated gases out of the atmosphere, these technologies are also only just being piloted and face significant barriers. Solar geoengineering is “insane” according to John Moore, a British scientist at Beijing Normal University (BNU) who leads China’s geoengineering research programme. “The only sane solution is to stop burning fossil fuels,” he says. Moore’s sentiment is common among those researching the topic. Concerns range from discomfort about playing a god-like role by tinkering with the climate to fears of inadvertently developing a weaponisable technology. Nonetheless, scientists pursue this research under the hypothesis that the risks posed by solar engineering may be less grave than those posed by a rapid temperature rise – under current government commitments, the United Nations Environment Programme projects the world is set to warm by at least 3 degrees Celsius by the end of the century. Solar geoengineering is known to pose myriad health and environmental risks, from decreased rainfall to heightened skin cancer rates due to ozone depletion. The severity of these risks would depend on the degree of solar geoengineering deployed. Changes in Asia’s monsoon precipitation, for instance, would be minimal under a moderate deployment scenario whereas precipitation could be reduced significantly if solar geoengineering were to offset all global warming. These are some of the known risks, but Moore warns of “unknown unknowns”. The Chinese research programme is investigating the risks and potential impacts. It is funded by a 17 million yuan (US$3 million) grant from the Ministry of Science and Technology. The team of over thirty researchers has focused on governance issues and computer modelling to understand geoengineering’s impacts, particularly on China. One of their studies, for instance, models how sulfate aerosol injection could slow the melting of the Himalayan glaciers, which are key to China’s water security. The lead Chinese scientist on the team, Cao Long, an Earth sciences professor at Zhejiang University and one of China’s IPCC report authors, is careful to distinguish research from deployment. While researchers in China focus on modelling impacts, scientists at Harvard University are preparing for the first solar geoengineering field experiments in the stratosphere as part of a privately-funded US$20 million project. 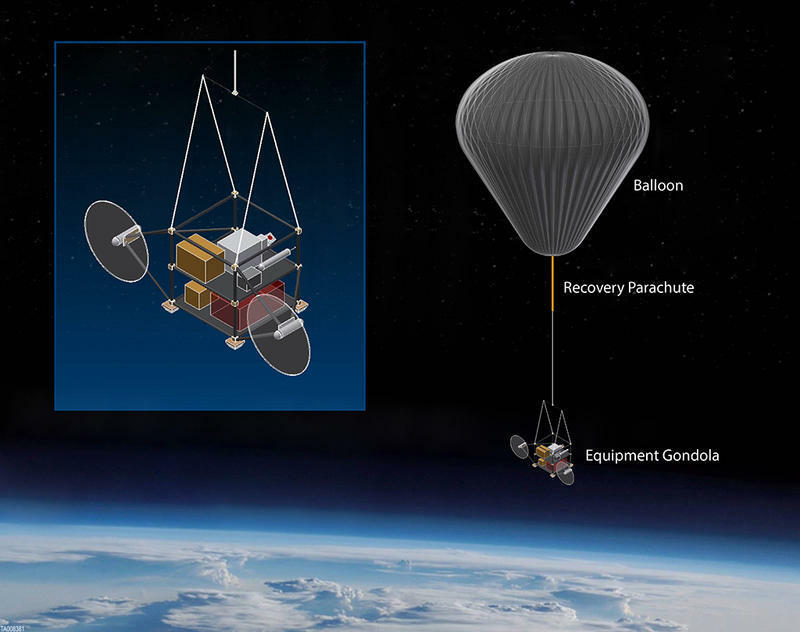 This year, they plan to launch a balloon fitted with measurement equipment into the stratosphere over Arizona. For the first experiment, the balloon will release ice into the atmosphere to study the resulting microphysics. But eventually Harvard scientists may release sulfates to study the geoengineering approach exhibited after the Mt Pinatubo eruption. This experiment falls within international guidelines for geoengineering field experimentation established under the UN Conference for Biological Diversity (CBD). The guidance permits small-scale field studies “subject to a thorough prior assessment of the potential impacts on the environment”. Will China follow? Moore says that some Chinese scientists have expressed interest in field experimentation to build on their modelling results. However, Cao Long, who recently co-authored a paper on cutting-edge “cocktail geoengineering” – combining multiple solar geoengineering solutions – said the concepts remain theoretical. “I think the majority of our research in the next two to three years will definitely be focused on computer modelling because the risks of field experiments are too great,” he says. David Keith, one of the scientists leading Harvard’s experiments, says that field experiments can help scientists refine their models and improve their understanding of risks. For experiments like Harvard’s that pose no physical risks, Keith says his support for such studies would be unlikely to change in the Chinese context. He sees them as an essential part of the scientific process. But critics argue that if experiments show minimal risks, they could make deployment more likely. A comprehensive global governance regime to manage the development and use of solar geoengineering is still in its early stages. Solar geoengineering could be inexpensive enough for a single country or wealthy individual to go it alone for a number of years. To minimise this risk, the Carnegie Climate Geoengineering Governance Initiative is encouraging countries to agree not to deploy solar geoengineering until the risks and benefits are sufficiently known and a governance system has been established. To start this process the Carnegie Initiative is advocating for countries to introduce a resolution in the UN Environment Assembly in 2019. But what shape might governance take? “This will be the most global thing humanity has ever done if we ever get there, and therefore, it will require a kind of global solution that we just don’t have on the table right now,” says Janos Pasztor, the director of the Carnegie Initiative. Given the need to deter high-risk experiments, he sees parallels with nuclear non-proliferation. Of course, geoengineering is intended to be a solution to a global problem, not a weapon. A set of governance principles designed by Oxford academics suggest that it be governed as a public good with tight controls on commercialisation as technologies develop. Moving from these concepts to a formalised global governance structure would likely take decades, according to Pasztor. If solar geoengineering were deployed then long-term stable management would also be needed to ramp it up and down gradually. Otherwise there is a risk of “termination shock” whereby global temperatures snap back rapidly, with potentially devastating impacts on ecosystems. The Oxford Principles call for “public participation in geoengineering decision-making”. Ideally researchers would obtain the prior informed consent of anyone potentially affected by research activities and the public would consent before any large-scale deployment. Pasztor says that public engagement is essential but the process does not have to be one-size-fits-all and can be adapted to different cultural and political environments. China’s research programme is still in its infancy and the country has not indicated whether and how it would orchestrate such public engagement. So far, discussion has mostly occurred in academic circles. “There are people at the mid-level in universities [in China] that are fairly anti-geoengineering,” says John Moore, but they have been less outspoken than some Western academics who have publicly opposed research and deployment. According to Chen Ying, some of these Chinese academics are wary of solar geoengineering research because they do not believe it should be prioritised over more immediate issues. Outside these academic debates, the conversation remains quiet. Chen says that Chinese non-governmental organisations have not taken a stance on their research and that the public is not well informed on the issue. In a comment published by Nature in April, scientists from around the world, including John Moore, called on developing countries to spearhead solar geoengineering research as they stand to be impacted most by climate change. As the only developing country with a research programme, China is positioned to lead this shift. However, in a 2016 article, members of the Chinese research team argued that China would not take a leadership role in geoengineering development. They wrote that China has not historically been a leader on the international stage. Furthermore, air pollution control has been a primary motivation for China’s transition away from coal burning – solar geoengineering might stop the temperature from rising, but it would not solve China’s public health crisis brought about by smog from coal-fired power plants. Chinese officials have begun to look into geoengineering. Pasztor’s visit to China last year prompted a high-level meeting of officials from the Foreign Affairs and Science and Technology ministries and the National Development and Reform Commission to discuss solar geoengineering governance. However, government officials have made no formal statements on geoengineering, so the country’s future position on research, not to mention possible deployment, remains unclear. Scenarios that keep the world below a 1.5-degree temperature rise without employing geoengineering still exist. One recent study showed that the emission reductions necessary to meet this target could be achieved through aggressive increases in energy efficiency and afforestation alone. However, the majority of IPCC scenarios enlist another geoengineering approach – carbon dioxide removal – to drawdown emissions and bring the Earth back to 1.5 degrees Celsius after a period of “overshoot”. 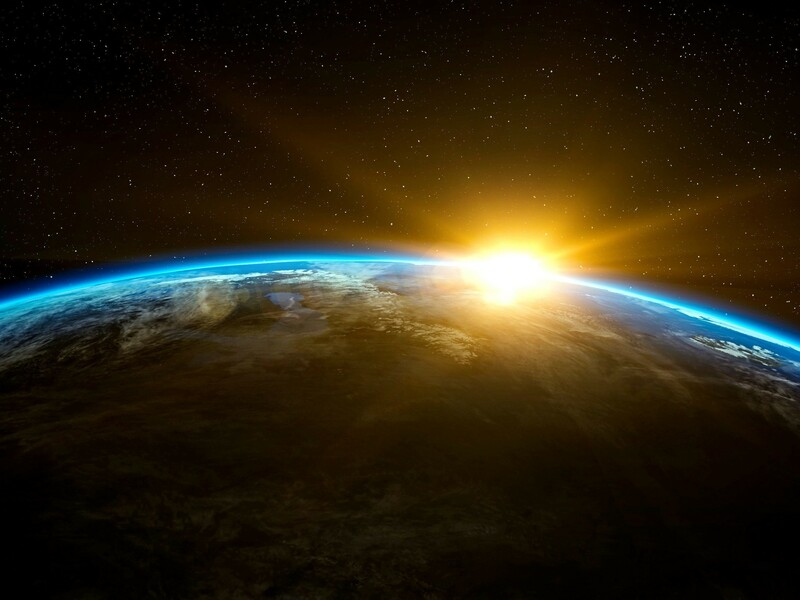 The IPCC has yet to factor the use of solar geoengineering into its emissions reduction scenarios as the approaches are still considered too obscure. In the future, if research shows that solar geoengineering risks are minimal, humankind will be in a position to decide whether to exert control over the climate on a global scale. For now, the risks are unclear and the technologies unproven. Nations still have a narrow window to avert catastrophic impacts by rapidly reducing emissions.